Magento is an open source shop (e-commerce software) and content management system for e-commerce websites based on the PHP Zend Framework. Magento applies the conventions of Object Oriented Programming and MVC (Model-View-Controller) architecture and uses MySQL/MariaDB as the database. The software developed has been started in 2008 by Varien Inc. In the past years, Magento has become a trusted platform for e-commerce software that powers online businesses all over the world. 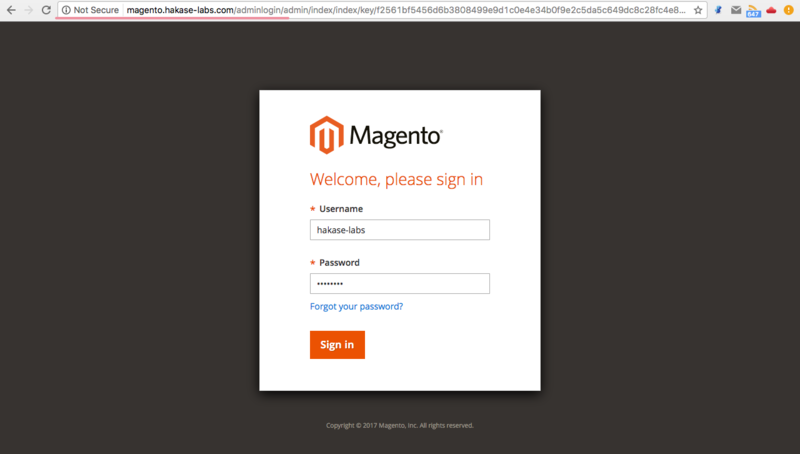 In this tutorial, I will guide you trough the Magento 2.1 installation. We will install Magento 2.1 with Nginx and Php7.0-fpm and MySQL as the database. For this purpose, I will use a CentOS 7 server with SELinux enabled. In this step, we will install Nginx from the epel-repository. Epel is not available by default, so we need to install the epel-repository before installing Nginx. Install the epel-repository with this yum command. Now we can install Nginx from the epel-repository. After the installation is complete, start Nginx and add it to start at the boot time. Nginx is started on port 80, you can check that with the netstat command below. In case you see the result 'command not found', you can install net-toolslike this. 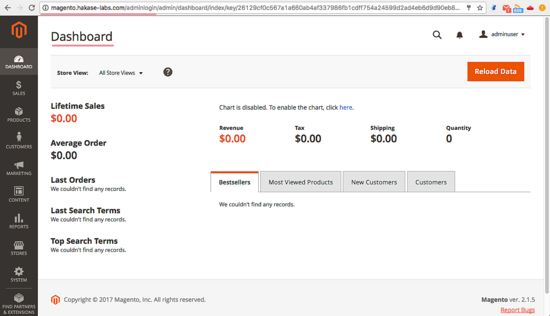 In this tutorial, we will be using PHP-FPM 7 for the Magento installation. I will use PHP 7 packages from the Webtatic repository. Download and add a new webtatic repository to the system. Now run the command below to install PHP-FPM7 with all packages and extension needed for the Magento installation. When a PHP-FPM7 installation is complete, we need to configure it. We will configure the php.ini file and the php-fpm configuration 'www.conf' file. Uncomment the cgi.fix_pathinfo line 762 and change value to 0. Configure memory limit, max execution time and enable the zlib output compression, make sure you set the values as shown below. Uncomment session path directory and change the directory as below. Next, edit the php-fpm configuration file www.conf with vim command. PHP-FPM7 will run under the 'nginx' user and group, change the value to 'nginx' for the user and group lines. We will run php-fpm under a socket file, not a server port. Change the value of the listen line to the path of the socket file. The socket file needs to be owned by the 'nginx' user and group, uncomment the listen lines and change the values as shown below. Finally, uncomment the PHP-FPM environment lines 366-370. Next, create a new directory for the session path and the php sock file location. Then change the owner to the 'nginx' user and group. Create a new directory for session path. Create a new directory for php-fpm socket file location. PHP-FPM7 configuration is complete, start the daemon now and enable it to start at boot time with the systemctl command below. When there are no errors, you can use the command below to check if php-fpm is running under the socket file. Magento 2.1 requires a current MySQL version, you can use MySQL 5.6 or 5.7 for the installation. In this tutorial, we will use MySQL 5.7 which can be installed from the official MySQL repository. So we need to add the new MySQL repository first. Download and add the new MySQL repository for MySQL 5.7 installation. Now install MySQL 5.7 from the MySQL repository with the yum command below. When the installation is complete, start mysql and add it to start at boot time. 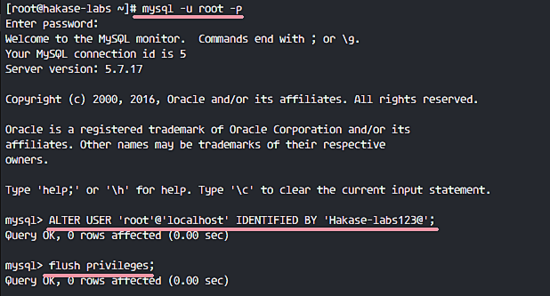 MySQL 5.7 has been installed with a default root password, it is stored in the mysqld.log file. Use the grep command to see the default password for MySQL 5.7. Run the command below. Now you see the current MySQL root password, you should change the default password. Connect to the mysql shell with user root and default password. Change default root password with the query below. I will use the new password '[email protected]' here. Please choose a secure password. The default MySQL root password has been changed. Next we need to create a new user and a new database for Magento installation. We will create a new database named 'magentodb' and a new user 'magentouser' with password '[email protected]'. Then grant all privileges of the database to the new user. Run the mysql query below. MySQL 5.7 installation and configuration is finished and a database for the Magento installation has been created. In this step, we will start to install and configure Magento. For the web root directory, we will use the '/var/www/magento2' directory. We need PHP composer for the Magento package installation. We will use Composer for PHP package dependency installation. Install composer with the curl command below. When the installation is complete, you can check the composer version as shown below. PHP Composer has been installed. Go to the '/var/www' directory and download the Magento code with the wget command. Extract Magento code and rename the directory to 'magento2' directory. Go to the magento2 directory and install all Magento dependencies with the composer command. Wait for PHP Dependency installation to finish. Go to the Nginx directory and create a new virtual host configuration file named 'magento.conf' in the 'conf.d' directory. Paste the virtual host configuration below. Now test the configuration. When there is no error, restart Nginx service. Go to the magento2 directory to install Magento on the command line. Run the command below, make sure you have correct configuration. The values that need to be changed by you are explained below. --backend-frontname: Magento admin login page "adminlogin"
When you have no error in the command, you will see results below. Magento 2.1 is installed. Run the command below to change the permission for the etc directory and change the owner of the magento2 directory to the 'nginx' user. This cronjob is needed for the Magento indexer. Create a new cronjob as 'nginx' user (because magento running under nginx user and group). In this tutorial, we will leave SELinux in 'Enforcing' mode. Run the commands below to check the SELinux status. SELinux is in 'Enforcing' mode. Install the SELinux management tool 'policycoreutils-python' with the yum command below. Go to the '/var/www/' directory. Run the commands below to change the security context for the Magento files and directories. SELinux configuration is done. Now we need to configure firewalld. 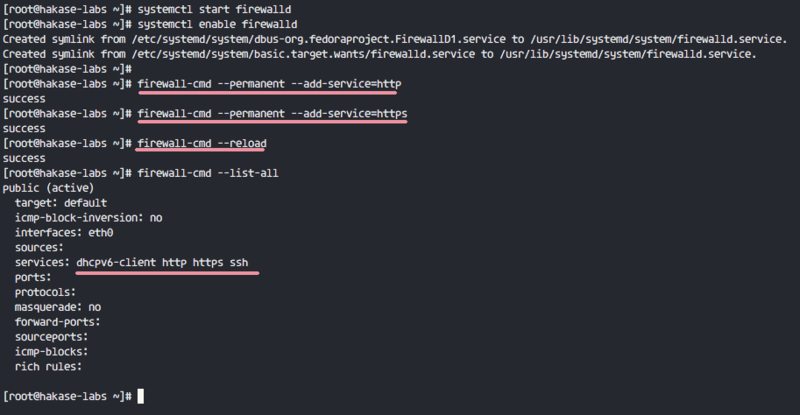 Install firewalld package if you do not have it on your server already. Start the firewall and add firewalld to start at boot time. Open the ports for HTTP and HTTPS so we can access the Magento URL from a web browser. 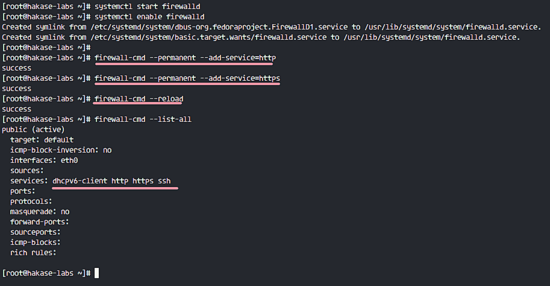 See the open ports for services with the command below. HTTP and HTTPS are ready for connections. 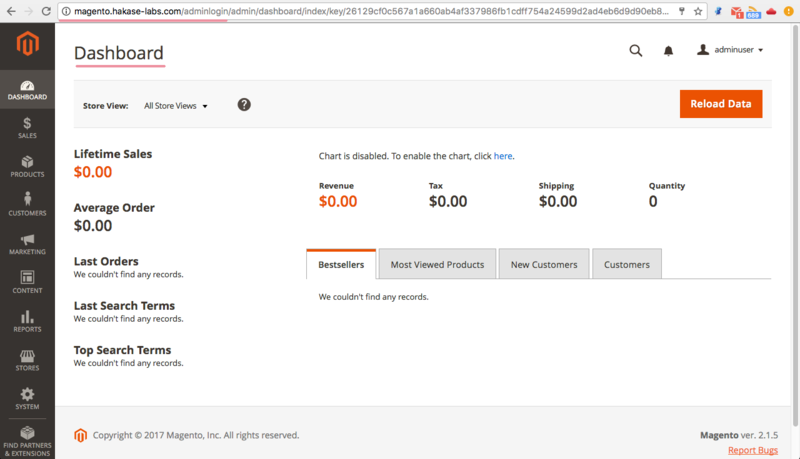 And you will see default Magento home page. 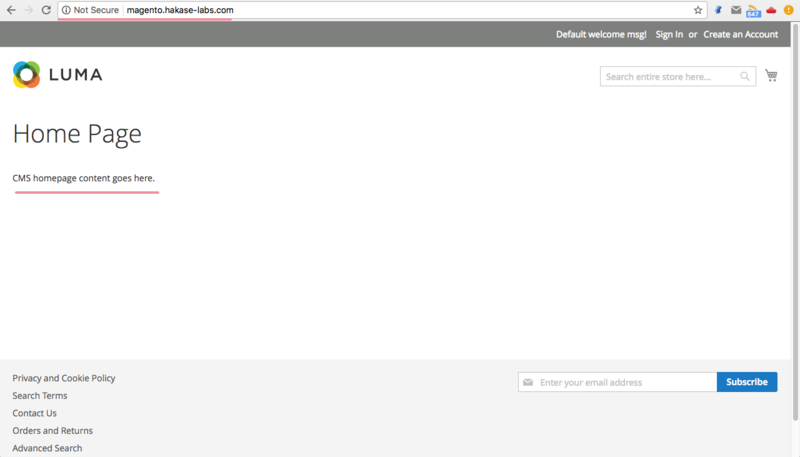 Next, login to the admin dashboard by opening the adminlogin URL. Login with your admin user and password. Magento 2.1 has been installed successfully with Nginx, PHP-FPM7 and MySQL 5.7 on a CentOS 7 server. Hello, mister. Thanks for the tutorial, it helped me a lot. I would like to know how you configured the root configuration directive in the nginx configuration file. My issue is similar to Ousman's one. also getting this error, and a default 404 error on my admin login page, any input would be handy, i can't see any evidence of this happening to anyone who hasn't followed this tutorial. but it showes me notice about a key! Excelent tutorial! Works everytime that i used! add php70w-bcmath to the list of plugins for php, is required by composer when install M2. Which value should I add? How to generate?